Sunday 6 May could well be a day to remember. Out on the field at Camp Nou Andrés Iniesta could make his final appearance in a clásico after 37 previous appearances in the fixture, 25 of which have come in LaLiga. The Barça midfielder will surely take a moment to remember his most valuable contributions to the most famous clash in world football such as the 6-2 win in the Bernabéu in 2009, the 5-0 victory at Camp Nou the following year and the 4-0 win in Madrid in November 2015. 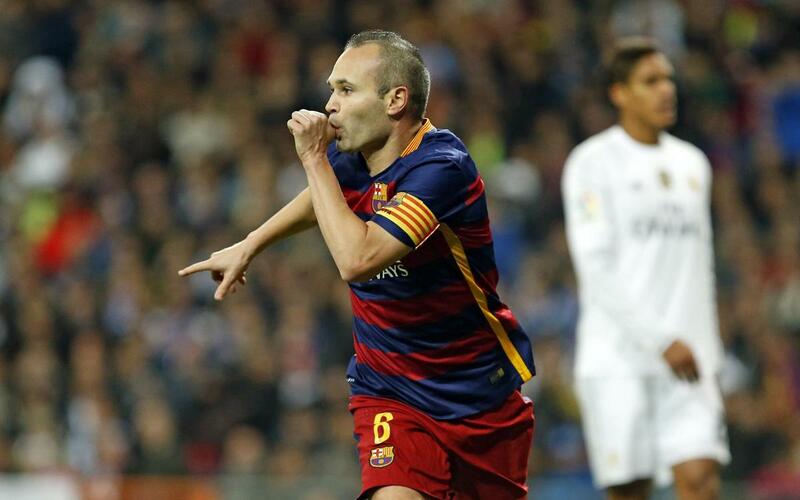 In the latter, Iniesta scored what is up till now his latest goal against Barça’s biggest rivals. All in all, he has scored three goals and recorded six assists. On Sunday adding to that total would be an excellent way to mark his farewell appearance in this famous fixture in European club football.